Every family has a unique story. Understanding that story is the key to helping you find the right living arrangement for your loved one. That’s why we have always connected families to real, local Senior Living Advisors. Our 400 Senior Living Advisors across the U.S. and Canada guide you through the process of helping your loved one transition into senior living. 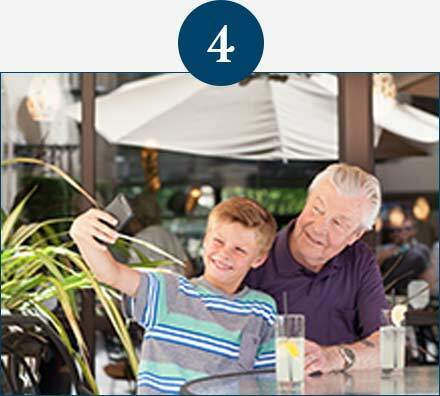 Your Senior Living Advisor listens to your family's unique needs and matches you with the right resources and senior care options. 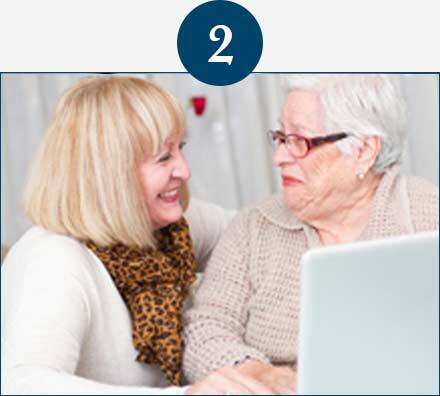 Whether your family needs support 3 miles away or 3,000 miles away, your Advisor is available to talk through the entire process, from starting the conversation with your loved one to connecting to the right senior living arrangement. 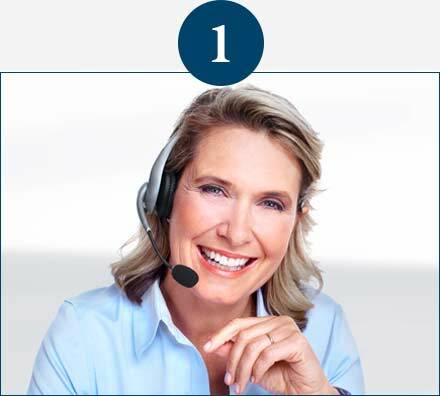 Call us to get connected to your local Senior Living Advisor, who will do an assessment of you or your loved one’s lifestyle, care needs, budget, and preferences for senior living. Based on your assessment, your Advisor will send you information on senior living communities tailored to your needs, saving you the time trying to find the right ones to evaluate. Have tours scheduled for you, get tips on looking for the right fit for your needs, and consult with your Advisor at any time - all at no cost to you. When you’ve selected the right living arrangement, get guidance on making the move as smooth as possible. We are paid by our partner communities only if you move in. We have a local Advisor for you. Our Senior Living Advisors are intimately familiar with the senior communities and eldercare options in your area. Local Knowledge. Your Senior Living Advisor knows the ins and outs of the senior care homes and communities in your area. In addition, you can receive local resources for additional support throughout your caregiving journey, such as movers and packers, elder law attorneys, and more. Insider's View. Senior living communities vary widely in costs, services, amenities, resident demographics and social programs. Your Advisor can discuss each feature with you, matching you with the options that meet your family’s unique needs and preferences. CARE OPTIONS 101. Different types of senior care and living arrangements are available depending on care needs, lifestyle, and personal preferences. Your Advisor possesses a deep understanding to help you choose the right fit. Full Picture Awareness. Your Advisors understands how complex this stage of life can be for a family. Discussions with your Advisor can cover everything from how to have sensitive conversations with your loved ones to how to finance care and help your loved one prepare for the future. Our Senior Living Advisors are ready and equipped to provide the best support possible for your family during this time. 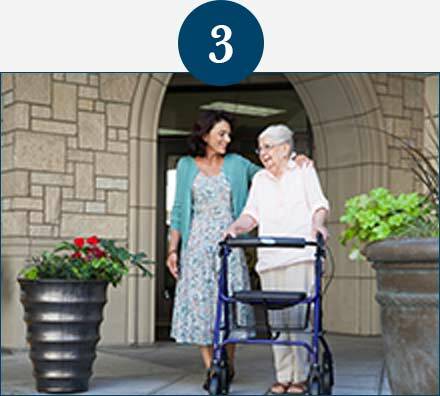 Understanding Options: Learn the different types of senior living and care available. Simplified Research: Once your needs are assessed, your Advisor matches you with options that meet your criteria. Financing Senior Care: Get guidance on the costs involved in senior care. Evaluating Communities: Get community tours scheduled for you and stay organized through our online tool MySearch. Family Dynamics: Get tips on broaching delicate subjects with your siblings and parents. Moving: Get resources for making the emotional transition as smooth as possible. The overwhelming majority of our Senior Living Advisors have been through similar experiences to those of the families they help every day. This is personal.... This is my pay it forward because of my grandparents raising me. I was very young and did not understand certain things. I was grateful; however, not in a manner that made a difference. I cannot go backwards & make the difference, advocate for or empower them to make proactive choices. Instead, I have been given the opportunity to educate, empower & guide others towards making a difference in the lives of their loved ones. I love helping families, who don't always even know what they're searching for, find hope. I think once they realize what we can do, they take a deep breath and know that someone is doing the leg work that was going to take so much time and energy. When you are transferred to one of our Senior Living Advisers, you are not being transferred to an operator. Many of us are experienced in the senior industry and can offer real world experience and knowledge on transitioning a loved one into senior living. I most enjoy hearing the sound of relief when talking to a family when I offer them sound advice and choices. We are the best choice as we are knowledgeable of the options the families have and our information is invaluable to the families. We are a walking encyclopedia for senior services and senior housing!! One thing important to our jobs ---- We have to be great listeners!! The fact that we are an ear to listen. So many families tell me they have no one to talk with who really understand what they're going through. We are there for families and we understand what they're going through. There is no rulebook for helping aging parents. Our objectivity gives our families the ability to explore their options without pressure.